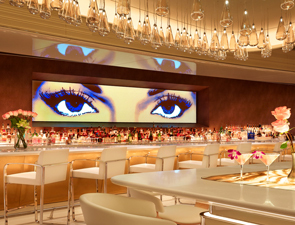 Andrea’s, the hip Asian dining hotspot in Encore at Wynn Las Vegas, introduces a weekly “Monday Pairing” on Monday, June 3. 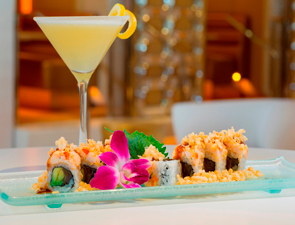 Executive Chef Joseph Elevado has created a special lobster salad roll with avocado, sweet kampyo, and eel sauce, available at the restaurant exclusively on Monday evenings, to be paired with a Lemon Kisu cocktail. The pairing is priced at $24. A new Andrea’s signature cocktail, the Lemon Kisu is comprised of Sugar Cookie Vodka, Disaronna & Luxardo Limoncello liquers, and fresh lemon with a cinnamon sugar rim. 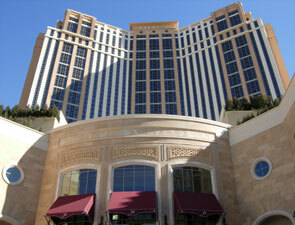 Andrea’s is open seven nights a week from 6:00 p.m. until 2 a.m.. For reservations, please call 702-770-DINE (3463). For more information, please visit www.wynnlasvegas.com. The Venetian and The Palazzo Las Vegas will come alive with the fantasy, food, fun and romance of Italy during CARNEVALE, a three-month celebration of the summer festivals of Italy, May 27 through Sept. 8, 2013. Based on the highly successful premier in 2012, the festival will be expanded to feature 300 experiences throughout the summer, including many exclusively for The Venetian and The Palazzo guests and Grazie members. CARNEVALE is inspired by the numerous festivals that grace the small villages and towns of Italy throughout summer. The grandest of them all - Venice’s CARNEVALE - was born in 1162, and is heralded as one of Europe’s greatest celebrations of art, food and culture. In that tradition, wonder and revelry will surround guests at The Venetian and The Palazzo resorts, with activities that center around entertainment, art, fashion, games, sports, music and wine. From visual spectacles to themed characters and unexpected surprises around every corner, guests will be wrapped up in the pageantry that is CARNEVALE. The “Passaporto di CARNEVALE ” will be included with overnight stays throughout CARNEVALE featuring special discounts and entertainment specials valued at more than $1,000, including retail offers from resort restaurants, spa, and The Grand Canal Shoppes. The Passaporto is an exclusive benefit to resort guests. During CARNEVALE, members of Grazie, The Venetian and The Palazzo’s premier loyalty program, can continue to earn valued Status Points with all suite charges by linking a Grazie account to suite reservations. The Masquerade - A Cavalcade of Carnevalean Characters: Join in the fun as our nightly show unfolds, with our elaborately costumed masked characters, celebrating the romance, mystery and artistry of the historic Venice festival. Cocktails Unmasked - A Summer of Mixology at The Venetian: Your nightly opportunity to try something new! Every week, we will spotlight a new spirit, and will present a new mixed drink every night for guests to try. (Guests staying at the resort will receive drink coupons at check in). Light of Venice - A 3D Light Projection Fantasy: The façade of The Venetian is the canvas for a 3D fantasy of light and music, featuring state-of-the-art digital mapping technology. Veni, Vidi, Vino - The Carnevale Wine Walk - If every time you drink red wine, you end up getting a cab… this is the activity for you! This is your chance to stop and smell the rosé! Grab a map and explore the best “by the glass” Italian wines of The Venetian and The Palazzo. The Neon Olympiad - Party Like it’s 1988! - Join our VJ at the Bourbon Room every night, to participate in an ’80s-inspired party. Participate and you can win Carnevale prizes. Dance Through the Decades - ‘60s, ’70s, and ’80s live on stage! - Nowhere on the planet can you enjoy the best music of the ’60s, ’70s, and ’80s through live musical theater… in one place! Enjoy smooth harmonies of ’60s Motown in HUMAN NATURE, the groovy tunes of the ’70s in PRISCILLA QUEEN OF THE DESERT THE MUSICAL, and the anthems of the ’80s in ROCK OF AGES LAS VEGAS. o World’s Largest Bachelorette Party Weekend (July 19-21) This summer, TAO Group is calling on all Bachelorettes to attend what promises to be the World’s Largest Bachelorette Party taking place in Las Vegas at TAO®, LAVO® and TAO BEACH in The Venetian and The Palazzo. Hundreds of brides to be and their friends will be celebrating their nuptials with one last wild weekend in Vegas! For more information on CARNEVALE, please visit venetian.com/carnevale or palazzo.com/carnevale. Wolfgang Puck at Hotel Bel-Air will host a one-of-a-kind dining experience on Tuesday, June 18, as Chefs Wolfgang Puck, David Chang and Roy Choi join forces to present the ultimate Chefs Dinner. The event will feature an amuse bouche followed by five courses of Asian-inspired dishes using farmers’ market ingredients selected by the chefs that morning. The June 18 Chefs Dinner at Wolfgang Puck at Hotel Bel-Air is priced at $190 per person, excluding beverage, tax and gratuity, and open to hotel guests and non-hotel guests. Optional wine pairing is available for an additional $80. For information and reservations, please call 310.909.1644. The evening’s chefs are a globally celebrated trio. 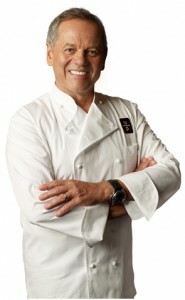 Master chef Wolfgang Puck is acclaimed for his bold, innovative school of cooking that redefined fine dining in America. From the introduction of Spago, known as one of the world’s most iconic restaurants, to the creation of Chinois and CUT, and winning three James Beard awards and an Emmy, Wolfgang Puck has long set the standard for cuisine, service and style. His popular, namesake restaurant, Wolfgang Puck at Hotel Bel-Air, represents one of his newest restaurant experiences for Los Angeles and is a hotel restaurant like no other, featuring a spectacular garden setting and two distinct dining venues offering the best of indoor and outdoor California cuisine. Another James Beard Award-winner participating in next month’s Chefs Dinner is David Chang of Momofuku, which includes restaurants in New York City, Sydney, and Toronto. Chang is the recipient of four James Beard awards, including the 2013 Outstanding Chef Award. He has also generated acclaim as a member of the Time 100, and as the recipient of GQ magazine’s Man of the Year accolade. Before founding Momofuku Noodle Bar, Chef Chang worked in the kitchens of renowned culinarians Jean-Georges Vongerichten, Daniel Boulud and Tom Colicchio. He has garnered awards from Food & Wine and Bon Appétit, published the Momofuku cookbook in 2009, and launched his own quarterly print journal, Lucky Peach, in 2011. Los Angeles’ own Chef Roy Choi is considered a true culinary revolutionary. His Kogi BBQ taco trucks, Chego!, A-Frame and Sunny Spot restaurants, and renowned menu items including Korean-Mexican tacos, have placed him on the leading edge of the gourmet food truck and social media restaurant movements, well before they came into vogue. Named Food & Wine’s Best New Chef for 2010, the classically-trained Choi pioneered the use of Twitter as a food truck locator. His newest restaurant venture, featuring the tastes of Korea translated through an L.A. state of mind, will debut at The Line, a new hotel set to open in L.A. in late 2013. Chef Choi is also completing his first book, L.A. Son: My Life, My City, My Food, to be published this fall. Andrea’s, the new hip Asian restaurant at Encore and Le Rêve-The Dream, the evocative aqua spectacle in-the-round, have partnered to offer guests a decadent dinner and show package starting at $185 per person. The “Dream with Your Eyes Open” package is available Friday - Tuesday and is subject to availability. Andrea’s combines hip Asian dining in a lively atmosphere, making it ideal for pre and post show dining. The three-course prix fixe menu features a choice of appetizers including Imperial Lettuce Cups, Hamachi or Five Spice Squid. For the main course, indulge in Tofu and Vegetable Lo Mein, Pan Seared Salmon, Jidori Chicken Breast or a 9 oz. Filet Mignon (additional $20). The culinary experience concludes with a festive Happy Buddha Fortune Cookie for dessert. Andrea’s is open nightly from 6 p.m. to 2 a.m.
Voted Best Show in Las Vegas by the Southern Nevada Hotel Concierge Association for three years in a row, Le Rêve has redefined the traditional theatrical experience at Wynn Las Vegas. Throughout the show, comedy and dance intertwine with artistic athleticism for an awe-inspiring experience. From a thrilling high-dive, to synchronized swimmers doing the tango in red high heels, Le Rêve is captivating from beginning to end. Le Rêve performs Friday - Tuesday at 7 p.m. and 9:30 p.m.
To book the “Dream with Your Eyes Open” package, call 888.320.7110 and mention “Dream with Your Eyes Open.” For more information on Andrea’s and Le Rêve, please visit www.wynnlasvegas.com. 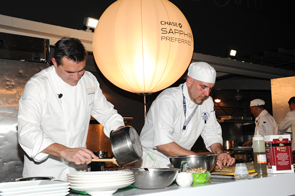 Last night at Vegas Uncork’d by Bon Appetit, Chef Todd English and Las Vegas Le Cordon Bleu Culinary Institute student Todd Huelsman placed first in the Chase Sapphire Preferred Grill Challenge - beating Chef Akira Back who was paired with student Todd Huelsman. As a first place prize, Todd Huelsman walked away with a $20,000 scholarship, courtesy of Chase Sapphire Preferred, to go towards furthering his culinary education. The Chase Sapphire Preferred Grill Challenge was a live grilling battle that paired student Todd with Chef English against student Andrew and Chef Back to reimagine a classic French dish. The winning dish, a rich foie gras mousse paired with chicken payard, topped with panko asparagus and finished with a demi-glace, wowed the judges and took first place in the culinary competition.